Remember When David Bowie Launched His Own Internet Service Provider? 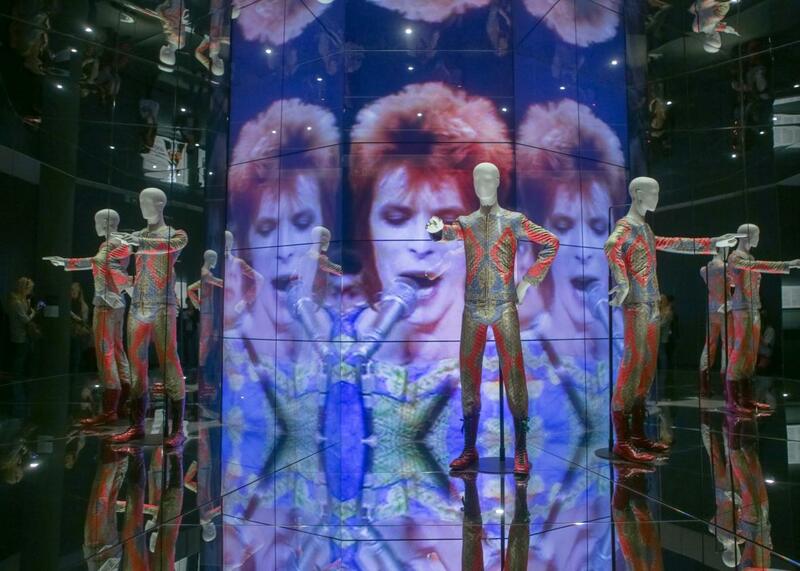 The exhibition “David Bowie” at Martin Gropius Bau on May 19, 2014, in Berlin. Getting Internet connectivity from the Comcasts and Time Warners of the world feels uninspiring and perfunctory. But for a few years in the late ‘90s and early 2000s, you could get Internet service from David Bowie, which just sounds so much better in every way. On Sept. 1, 1998, Bowie and the network services companies UltraStar and Concentric Network Corp. announced BowieNet in the United States. Guinness World Records named it the first artist-created Internet service provider, and a press release from the United Kingdom launch in December 1998 said it was “logical” that Bowie would be on the cutting edge of digital development. For $19.95 per month, users got a yourname@davidbowie.com email address, 5MB of online storage to create a personal Web page, access to exclusive Bowie audio and video, an extensive network of chat rooms (including live chats with Bowie himself), shareware, and multiplayer gaming. Or for $5.95, users who didn’t want to use BowieNet as their ISP could buy access to www.davidbowie.com. In June 2000 at the launch of BowieNet Version 2, Bob Goodale, then-president and chief strategy officer of UltraStar, said that Bowie was “involved in everything” related to the ISP. “People wake up dreading the emails he’s sent with the nine ideas he dreamed up last night,” he said. My feeling is that the official BowieNet will be both enhanced and constrained by their official status. They’ll be the only ones who are able to put the copyrighted audio and video files officially on the Net, and of course they’ll probably pick up a lot of visitors who just want that. But on the other hand, they won’t be publishing rumors, unflattering news or irreverent looks at Bowie, which is what a lot of the Bowie fan sites (including mine) like to touch on.